Thiruchendur Murugan Temple Recruitment 2018 2019 Application Form for 12 Junior Engineer, Wireman, Electrician, Assistant Wireman, Plumber Posts Download Application through Official website www.tiruchendurmurugantemple.tnhrce.in. Thiruchendur Murugan Temple JE, Wireman Jobs Notification 2018 Released. 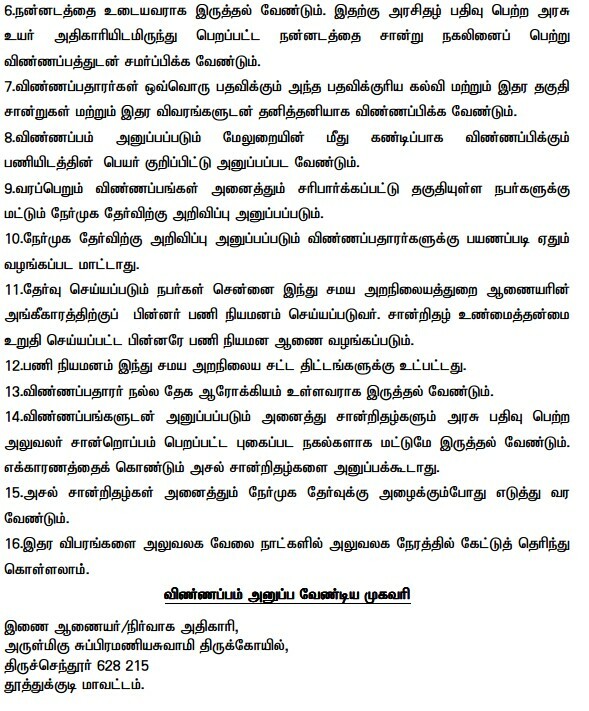 Thiruchendur Murugan Temple invites Walk in Interview for appointment in following JE, Wireman post in Thiruchendur Murugan Temple. 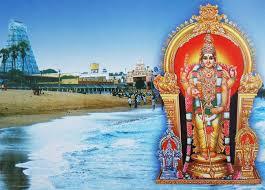 Candidates are requested to Download Application through Official website www.tiruchendurmurugantemple.tnhrce.in. Prospective candidates will have to before Walk in Interview carefully reading the advertisement regarding the process of examinations and interview, eligibility criteria, Offline registration processes, payment of prescribed application fee/intimation charges, Thiruchendur Murugan Temple pattern of examination, Thiruchendur Murugan Temple Syllabus, Thiruchendur Murugan Temple Question Paper, Thiruchendur Murugan Temple Walk in Date, Thiruchendur Murugan Temple Result Date etc.